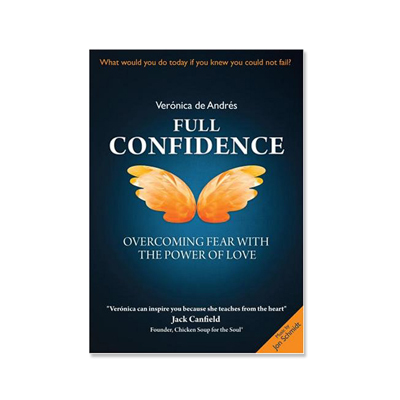 What a pleasure it was interviewing Veronica de Andres about her new DVD release entitled, “Full Confidence-Overcoming Fear with the Power of Love“. You are going to love this DVD, and most importantly the very timely message that Veronica conveys with her unique charm and style. Full Confidence is a film focused on human development. It combines aspects of both a documentary film with the style of a video seminar. The production quality is wonderful, for it provides the viewer with a high entertainment value. Veronica’s message is quite simple, it is the power of love to heal. During my interview with her we discuss events in her personal life that were the defining moments for her to choose love over fear. It was through the choice of love over fear that Veronica started to develop her personal Full Confidence. She recalls a time in 7th grade when her teacher choose to compliment her, and provide her with encouragement that she decided to becoming a life long learner, and committing herself to teaching others about the power of love. She emphasizes that fear creates rebellion, submission and anger and that love is ever expanding. If one loves themselves it truly reinforces full confidence, and the world starts to look like a very inviting place instead of a hostile environment. I believe that if more of us thought with our hearts instead of our heads that this world would be a much more compassionate place to live. Peace, love and tranquility would abound instead of war, hatred, fighting and fear. 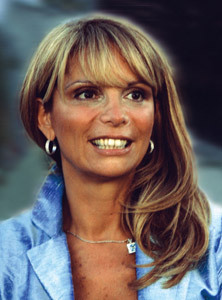 If you are looking to center yourself for about an hour, and immerse your soul in a wonderful bath filled with great ideas, thoughts and pleasurable stories then I highly recommend that you watch and listen to the words of Veronica de Andres. She is a remarkable orator with a very pleasant style and grace, and truly a woman with a deep caring for souls looking to find peace, happiness and love in their lives. If you would like to learn more about Veronica and her outreach work that is having a wonderful impact worldwide, please visit her website by clicking here. Enjoy, the podcast!!! !